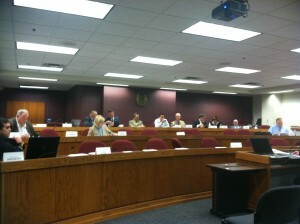 House Committee on Budget Transparency questions Dept. of Insurance Director John Huff. 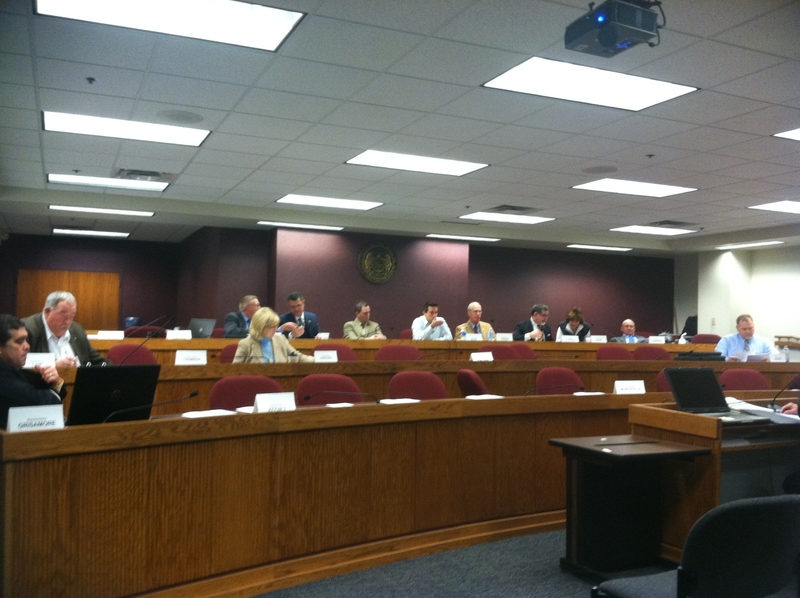 Several state lawmakers are unhappy with the way the Department of Insurance is handling the beginning stages of a state insurance exchange. The Department of Insurance Director John Huff says he’s ready to work with the legislature on deciding if Missouri wants a state-run health insurance exchange, instead of one run by the federal government under the new health care law. But Senator Kurt Schaefer says he doesn’t think that’s true. Schaefer says Huff is taking instructions from someone much higher up, in order to keep this process away from legislative debate. Schaefer says he knows Huff is working with Nixon to keep this process in the dark. Schaefer says if the process of applying for grants to look into how this exchange should run is kept from legislators, it takes the accountability out of the process. He also says this is potentially a billion dollar undertaking for the state, and should be debated by those who set the budget. He tells Huff to take that message to whoever is in charge. The House Committee on Budget Transparency Chair Ryan Silvey says the Department’s State Insurance pool has applied for a grant to start the process, when it should be done by a department that answers to the legislature. Silvey says the Department should reject the grant, and reapply for it through a department that is accountable to the legislature.